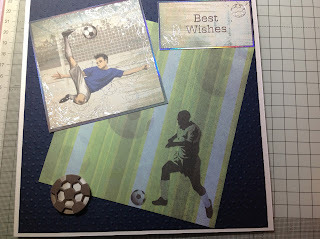 Today I am showing a couple of male cards I have made. 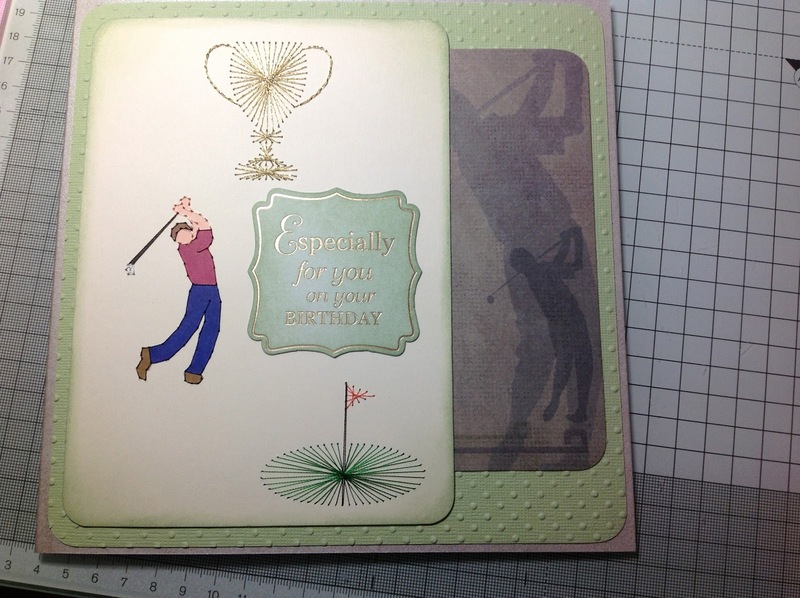 This is an 8"x 8"card. www.form-a-lines.com. When I stitched the golfer I coloured him in using promarkers. The sentiment is from Kanban and came in white, I used Tim Holtz, distress ink (Bundled Sage) to colour it, I then matted and layered is using patterned paper from Paper Cellar - Men 2. 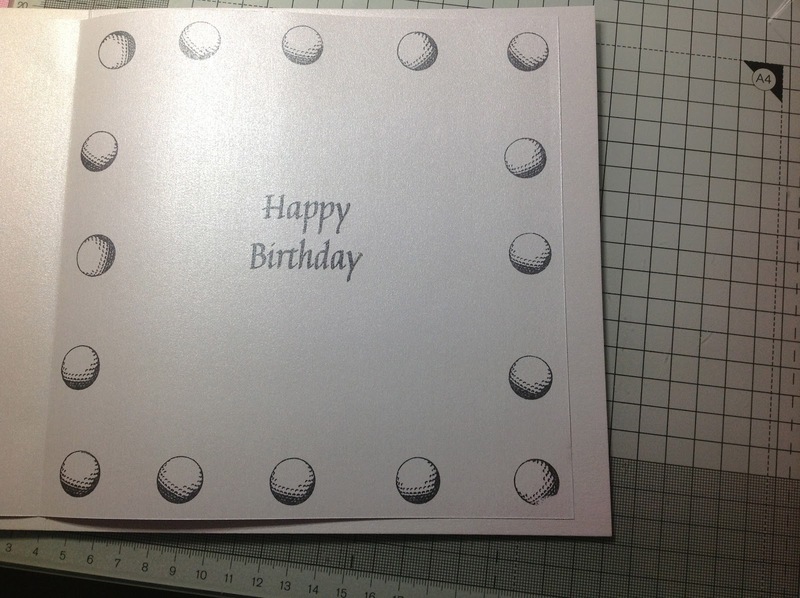 For the insert I used a Clarity Stamp of a golf ball to stamp around the edge. 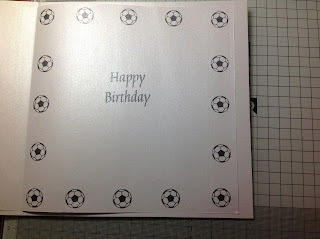 This card was very simple (no sewing involved). The toper and sentiment was from Kanban - I think. 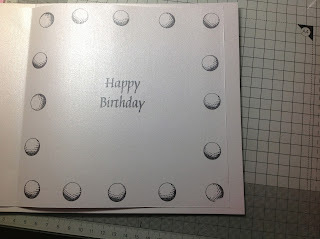 The paper was again from Paper Cellar - Men 2. which I layered onto blue card, which I embossed using the M-Bossabilities folder - Dainty Dots. 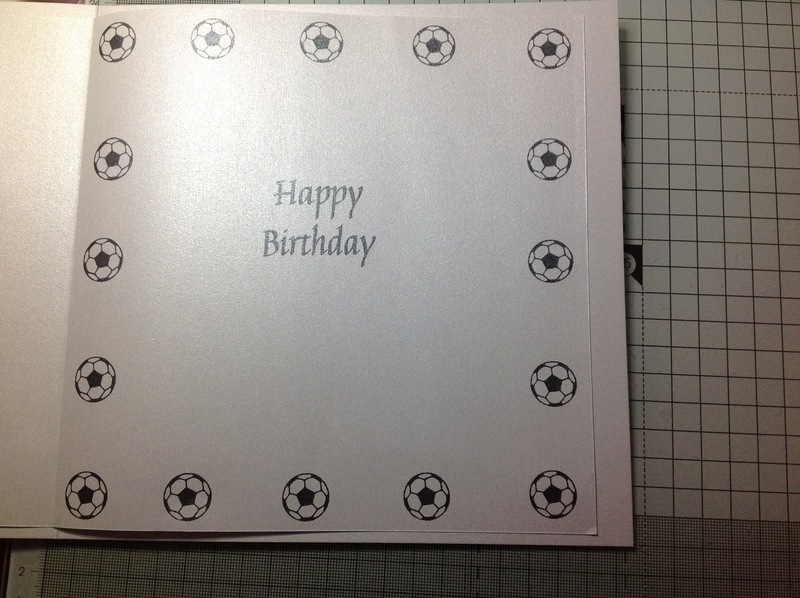 For the insert I used a Clarity Stamp of a football to stamp around the edge.